Actor Vijay gets Superstar title! Tammannaah is doing her first Hindi film Himmatwala opposite Ajay Devgan, directed by hit maker Sajid Khan.The buzz is that the pretty actress even before her film releases next month, has landed another project opposite Akshay Kumar being produced by Ramesh Taurani. Tammannaah seems to have shifted her priorities to Bollywood. This film, which will mark the directorial debut of writer duo Sajid and Farhad, will be produced by Ramesh Taurani. Apparently, this film will be rolling out towards the end of the year. Meanwhile the shoot of Tamannaah's only film in Tamil opposite Ajith and directed by Shiva is expected to start end March. Films using Superstar Rajinikanth's blockbuster titles are becoming commonplace now, but an upcoming Kannada film has chosen to keep the Superstar's name itself as the title. 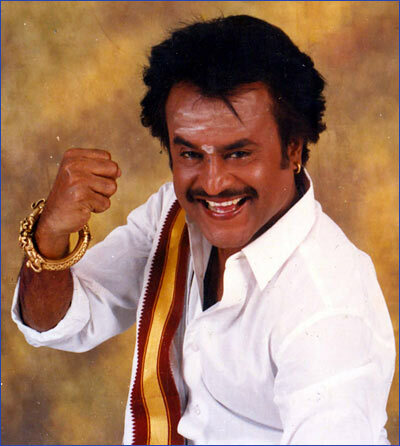 Kannada hero Vijay's latest film will be called 'Rajinikanth – The Superstar'. While one imagines this to be a biopic of sorts since Rajini spent many years in Karnataka, the makers are quick to deny that. They say that the hero's name in the movie is Kanth while the heroine, played by Anita Rao, is called Rajini and hence the title. The producer of the film, Prassad, finds the title sentimental as his parents too have Rajini and Kanth in their names and the hero is thrilled to be part of a film named after the one and only Superstar. Dhanush's upcoming production Ethir Neechal has been making headlines from the very beginning and with the songs turning to be Chartbusters, the expectations have reached beyond the usual status.The film is directed by Senthil starring Sivakarthikeyan and Priya Anand in lead roles. While the post-production works has been completed, Vendhar Movies has bagged the theatrical rights of the film and is planning to release the film in April. On the pars, there is another movie getting under the wings of the same banner – Gauravam directed by Radha Mohan and is produced by Duet Movies. The film marks the debut of producer Allu Sirish in lead role and Vicky Donor fame Yami Gautham plays female lead role and is scheduled for release in April. 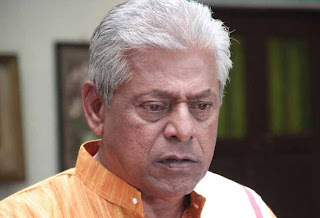 Actor Delhi Ganesh has been admitted in Apollo Hospital following a heart attack. The veteran actor, who has had his takes as hero, villain, comedian and even in character roles, had a heart attack on Wednesday, 27th February 2013, night. He was hurried to the above mentioned hospital, where he was under intensive observation. We have now come to know that the 62-year-old actor has regained his stability. We at tamilkey, wish him a speedy recovery and a very long and healthy life!